At age 62, when most people are planning for their retirement, Charles Bradley’s career is now taking flight. What is even more shocking is the fact that Bradley’s career is a musical one. In an industry that is constantly looking for the next Justin Bieber-like young sensation to market to the masses, the idea of a 62 year-old soul singer breaking out seems unheard of. However, like most things in Bradley’s life, defying the odds is something he has grown accustomed to doing. Similar to the rich stories of hardship he sings about in his songs, Charles Bradley’s life has been a one of pain and struggle. His mother abandoned him as a child to chase after a married man, the brother he looked up to was killed, and Bradley had to deal with his own turbulent health issues. Bradley’s tale is one of such sorrow that it would have been completely understandable had he given up on his dreams of being a musician. Fortunately, music was the one thing that gave Bradley a sense of purpose. Growing up listening to soul music, Bradley eventually started working as a James Brown impersonator known as “Black Velvet.” Eventually he was discovered by Gabriel Roth of the famed Daptones Records. Home of top selling artists Sharon Jones & the Dap-Kings, Daptones Records has a track record for turning soul singers into mainstream stars. By Roth and his team providing Bradley with an opportunity to record his own material, Bradley was able to transform his lifelong sorrow into beautiful music. 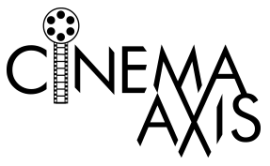 Poull Brien’s film primarily focuses on the period leading up to the release of Bradley’s debut album. Brien fills the documentary with footage of recording sessions as well as shots of Bradley on stage. 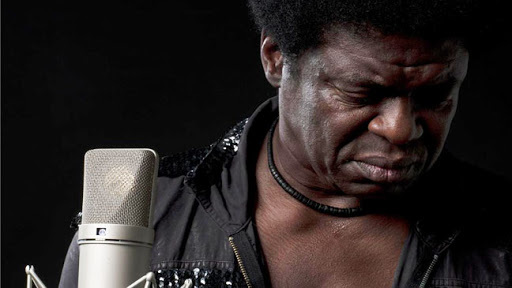 It is the footage of his performances that really highlights how electrifying Charles Bradley is as a musician. When in front of an audience he truly embodies the emotions that he is singing about. As to be expected with any film dealing with the subject of music, the songs in this film will have you constantly tapping your feet. It is a wonder that he was not discovered years early. Like a true professional, Bradley takes it all in stride. For him it is not about how long the journey took, but the fact that the moment is finally here. The wonderful thing about Bradley is how humble he remains through the entire experience. Despite being on the verge of stardom, Bradley is a man who finds solace in taking care of his elderly mother. Regardless of what occurred in the past, he still believes in the importance of family and friends. This notion is extended to the audiences that come to see him perform as well. You truly get the sense that Bradley is appreciative of the opportunity that has come his way, even if it arrived late in life. Charles Bradley: Soul of America is an uplifting tale that emphasizes the importance of sticking with your dreams…regardless of how old you are.